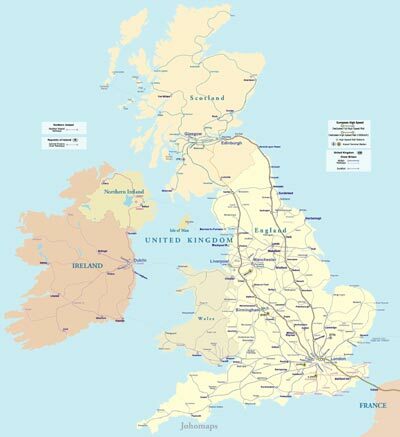 The British Isles are a group of islands off the north-western coast of continental Europe that include the islands of Great Britain, Ireland and over six thousand smaller isles. Two sovereign states are located on the islands: Ireland (additionally described as the Republic of Ireland, covering five-sixths of the island of the same name) and the United Kingdom of Great Britain and Northern Ireland (commonly known as the United Kingdom). The British Isles also include three dependencies of the British Crown: the Isle of Man and, by tradition, the Bailiwick of Jersey and the Bailiwick of Guernsey in the Channel Islands, although the latter are not physically a part of the archipelago. The oldest rocks in the group are in the north west of Scotland, Ireland and North Wales are 2,700 million years old. During the Silurian period the north-western regions collided with the south-east, which had been part of a separate continental landmass. The topography of the islands is modest in scale by global standards. Ben Nevis rises to an elevation of only 1,344 metres (4,409 ft), Lough Neagh, which is notably larger than other lakes on the isles, covers 381 square kilometres (147 sq mi). The climate is temperate marine, with mild winters and warm summers. The North Atlantic Drift brings significant moisture and raises temperatures 11 °C (20 °F) above the global average for the latitude. This led to a landscape which was long dominated by temperate rainforest, although human activity has since cleared the vast majority of forest cover. The region was re-inhabited after the last glacial period of Quaternary glaciation, by 12,000 BC in Great Britain and 8000 BC in Ireland. At that time, Great Britain was a peninsula of the European continent from which Ireland had become separated to form an island.